← Princeton Dog Park: Where Should It Go? Princeton Realtors: People Want Walkable Housing. U.S.1’s survey of Princeton realtors published May 22 revealed a strong demand for walkability. (Click to expand). It’s not just “Gen Y’s“. Pretty much all of us value having good stuff nearby. In the second half of the twentieth century there was a move towards living in suburbs, but the disadvantages of this form of urban planning have long since become apparent. Are you fed up of long commutes in traffic? Fed up looking for parking? Wondering why there isn’t a little store in your neighborhood where you can easily pick up some milk or a New York Times? These problems come from the low-density suburban model that was favored by 1950s-1980s-era zoning practices, which still persist around the Princeton area. This trend isn’t something unique to Princeton. Across the country, people are increasingly placing more value on homes that don’t require car use to access amenities. In many cases, even smaller, older homes can command high prices, based on their in-town locations. Nothing that Dustin says contradicts the idea that walkability is desirable. Yes, West Windsor is a great place to live, with great schools, great houses and great transport links. But it would be even more attractive to home-buyers if it added something that is currently lacking: walkable housing! Add together West Windsor’s existing good points and the proven desirability of walkability and you have a recipe for a white hot real estate market. Walkable housing could add character to the area around Princeton Junction rail station, replacing ugly surface parking lots with highly-prized housing and potentially reduce commuter traffic. The popularity of walkable housing only underscore the utter folly of not building the long-planned West Windsor Transit Village, which would provide exactly the type of housing that is most sought-after by local home-buyers. Neither is there any evidence for U.S1’s other idea: that the market for walkable housing is ‘cyclical’ and eventually demand for ‘the big house in the manicured lot’ will return. Given a simple choice, people will always go for a bigger house than a smaller house, but if the big house comes with a big commute, evidence suggests that people prefer a smaller home closer to town. A demand for walkable housing is a return to traditional values, where people lived close by their workplace instead of driving from a suburb. This traditional pattern is clearly evident when we look at ‘old’ cities like Boston or San Franciso, which are built on a compact, higher-density form in central areas where jobs are prevalent. There is no ‘cycle’ about whether a short commute is good or not. People always like a short commute. In the late 20th century, an expanding road network and increased access to cars meant that people didn’t have to make a choice between a short commute and a big house. Sprawl and traffic are now making people ask what their biggest priority is, and they are choosing the same thing that was most important through most of Homo sapiens history: living close to friends, and close to the goods and services that make our lives fun. This entry was posted in Local, Smart Growth, Zoning. Bookmark the permalink. 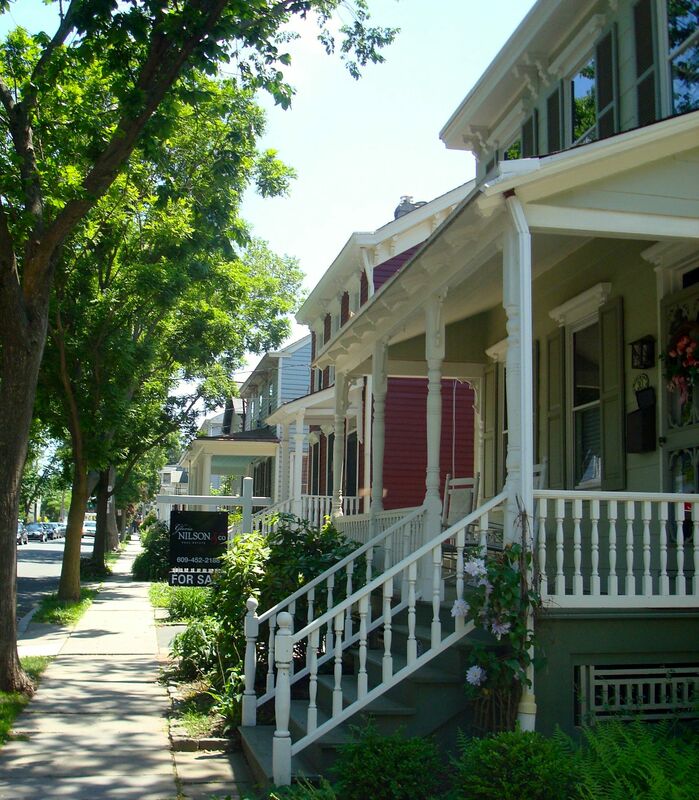 5 Responses to Princeton Realtors: People Want Walkable Housing. they must be talking about a different place I don’t see that here, I never hear anyone complain about not being able to walk everywhere, never seen public notices or people writting editors on the net or in newspapers complaining about not being able to walk or bike to work or walk everywhere to get grocierys or shop. never heard anyone say Iwant to be able to walk everywhere while carrying my kid around, I am just wondering if they are asking the wrong people. maybe they should be asking the population in general or better yet look at what people choose to spend their money on and how they vote with their feet, congestion in traffic only happens in areas where everyone is trying to get to the same places at the same time. the more people are forced to live closer and closer together the more inconvient driving is which is exactly what the agenda 21ers are hoping to achieve. how about spreading the jobs more outward so their are less people needing to get to the same area at same time, or how about spreading people out period, rather than trying to encourage, regulate and tax people into the cities where many have left simply because they hate cities. ever consider that? I guess it doens’t matter as the good jobs have left the country thanks to gov/corp meddling in affairs that don’t concern them. Last week we ran an article suggesting that people who walk and bike to Princeton’s Community Park pool should not have to pay to subsidize parking for drivers. Several people replied that free parking for drivers was essential because they couldn’t get to the pool any other way. Therefore, there is clearly an issue about walkability here. As for spreading jobs outwards- we have been doing that for decades. Has traffic got better? No, because spreading stuff out requires more car use, which makes more traffic. And let’s be clear about why stuff has spread out: it’s because of government interference in the market through onerous zoning regulations, highway subsidies and extending utility infrastructure to far-flung areas using tax dollars. 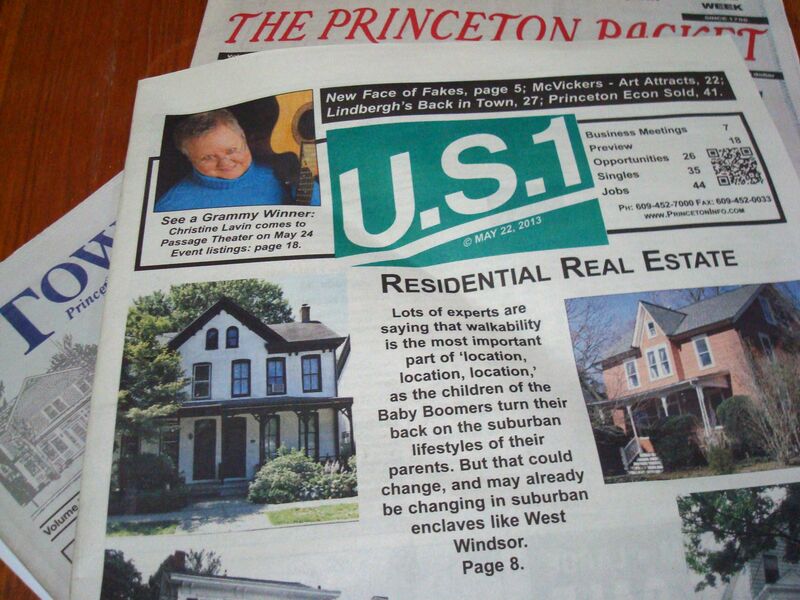 Most people can’t get a walkable home in Princeton, because they are too expensive, all because zoning regulations prevent the normal action of the market in allowing supply to meet demand. if you already live in a densly populated city naturally it is crowded I do not see any increased density and forcing people out of their cars by making them inconvenient or costly as the solution too, taxes are another issue altogether, it has already been proven by others including lawyers that the way taxes are paid and used are unconstitutional anyway, but that aside the issue was whether people without cars want those with cars to pay more to use public services, people without cars either by choice or because of circumstances inability to afford etc do not subsidize those who do, simply because those with cars pay user fees such as license, yearly renewals on plates and gas taxes and taxes on products for cars such as oil, parts, and even labor, called a sales tax,I dare to wager that the car users are actually subsidizing bike users when taxes are diverted to pay devlopers to create more stack and pack housing increasing congestion which they are paid to include low income housing as well,, making more bike friendly paths etc, frankly it doesn’t matter anyway because if the un, gets it way you and I won’t own anything or have any money anyway, I say lets have it all, why do people have to choose one or the other? no one told old joe blow he had to get rid of his horses when the car came around no one used regulation or taxes to tell him he had to get a car to get around and not use his horses did they? tho I did read once that in london it was a dirty mess using horses but that aside hygeine is another matter. but for some reason or another people are riling against cars and it is usually those who cant afford them, don’t like them a rare person or someone who drives all the time in their limos and private jets and really don’t like sharing the roads with us peasants, these people in the limos will not be living in these cities it is only for the slaves. and besides I was reading how the suburbs and country farmers and homeowners are subsidizing the cities the money is being diverted to these projects such as devlopers coming in making these small units and less parking access.so whom is subsidizing whom is irrelavent the free market has not been in operation for hte past 60 years every since the country went to fiat currency without backing (except threats and force) I have only seen people’s desire (I usd to live in the city for many years in several cites in fact)to live out in more open space, so if your care about the market working naturally whatever that means you would want people to spread out since by their actions from what I can tell is they do not want to liveinthe city, otherwise why are they moving out here by me? more houses are going up wiht one acre lots now, before they let them build cul de sacs which I don’t particularly like but if people want to live there that is up to them, no one is forcing these people to buy htem (not from what I can tell) I do not understand this spreading out translating into congestion of cars, I don’t see it, they just built a four laner highway (which was three before) and a seperator and it has been alot better, I seldom have a problem getting around, frankly jobs are leaving this country so fast it doens’t seem to matter anymore where you live it is all going to be a service industry country anyway for most people and we then can all be equally poor together and thus walking and biking will be the only transport we can afford. and roads will be maintained for transporting goods and rich peopleonly and we can stare at each other and say what happened? agenda 21 is what happened.tho I do not know how far Jehovah will let the un go in acting like an eighth king before he intervenes causing armegeddon but from what I can tell they are trying to speed up this implementation of prison cities clearing out the country side as much as they can and basically forcing all of us to be renters paying exceedingly high rents and high costs for peas and carrots.